Adjustment to aging (AtA) is a multifactor adjustment process with implications on aging well among older adults. 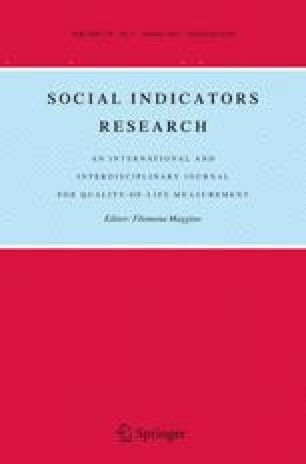 The aim of this study was to develop and validate a scale to assess the factors that older adults recognized as indicators of their AtA, with a cross-national comparative perspective towards aging well. Convenience sampling was used to gather questionnaire data, including demographics and the proposed scale. Complete data was available for 1,291 older community-dwelling adults, aged between 75 and 102 years (M = 83.9; SD = 6.68), who represented four different nationalities. Exploratory and confirmatory factor analyses were performed for dimension reduction and exploration of the factorial structure. Data gathered with the 22-items AtA five-factor scale showed overall good psychometric properties (in terms of distributional properties, statistical significant factor weights, factorial, convergent, discriminant criterion and external-related validities, as well as reliability). Five factors were selected for the Adjustment to Aging Scale: (a) sense of purpose and ambitions (b) zest and spirituality; (c) body and health; (d) aging in place and stability; and (e) social support. We present a 22-item scale with five factors for AtA estimation in a cross-national elderly population which produced valid and reliable data for elder persons from four different nationalities. Results showed that this scale is an adequate cross-cultural instrument for research, clinical practice and program development in the health care context. These may benefit from clearly understanding AtA as an important component for reducing health disparities and for aging well, across nationalities. This work was supported by the Portuguese Foundation for Science and Technology (FCT) [Grant Number SFRH/BD/44544/2008]. Sponsor’s Role: The fund approved the design and aims of the study but did not play any role in the collecting of data, interpretation of results, or preparation of this article.